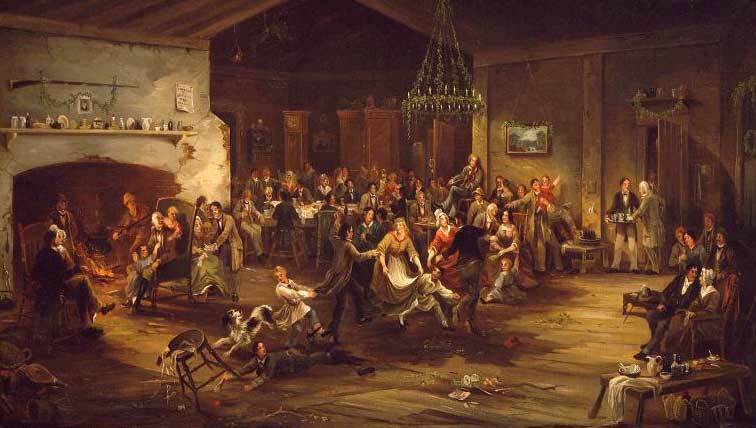 The Christmas Party, circa 1850. Oil on canvas attributed to American painter Robert David Wilkie (1827–1903). Image courtesy of Wikimedia Commons. During the years following the publication of Little Women (1868–69), hoping to make the most of her newfound success, Alcott published six holiday books for young girls under the series title Aunt Jo’s Scrap-Bag, for which the author adopted the guise of her most famous character. Each collection included new items and reprints of pieces published in magazines, including a number of holiday stories. The first volume, My Boys, appeared in 1872, and was followed by Shawl-Straps (which gathered travel pieces written during Alcott’s trip through Europe), Cupid and Chow-Chow, My Girls, Jimmy’s Cruise in the Pinafore, and An Old-Fashioned Thanksgiving. 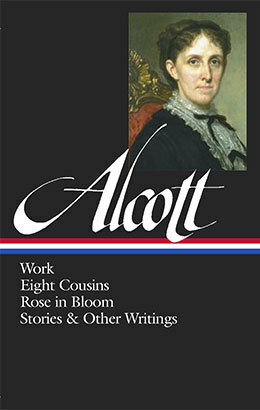 One of the stories in the third Scrap-Bag volume will be of particular interest to fans of Alcott’s novels. In many ways an unassuming, old-fashioned Christmas story, “Kate’s Choice” features a heroine whose situation might remind readers of the plight of Rose Campbell, the central character of Eight Cousins and Rose in Bloom. Both characters inherit financial windfalls when they are unexpectedly orphaned at an early age and are then forced to live among their extended families. Kate, however, enjoys an unusual level of independence and chooses her own destiny. Her story serves as an intriguing contrast to Eight Cousins, which appeared three years later and in which the shy and uncertain Rose regards her various aunts and other adults as role models. Yet, like many of the characters in Alcott’s fiction, both Kate and Rose are “young women at social and emotional crossroads” who ultimately succeed on the own terms. “A real little lady, and ever so pretty.” . . . If you don't see the full selection below, click here (PDF) or click here (Google Docs) to read it—free!